A celebration of life service for 85-year-old Virginia “Ginny” Henderson of Keota will be at 2 p.m. Friday (2/23) at the Powell Funeral Home in Keota. Burial will be in the Keota Cemetery. 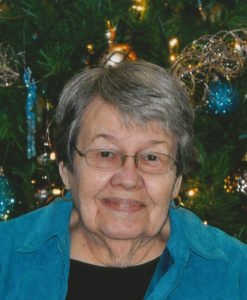 Visitation will be from noon-2 p.m. Friday (2/23) at the Powell Funeral Home in Keota. A general memorial has been established. Messages may be sent to the family at powellfuneralhomes.com.